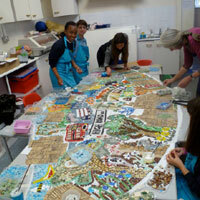 "Martin Primary School have been working on a mosaic about East Finchley. All the special elements of our area are included. 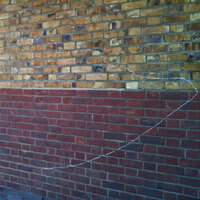 The children from all years went out and took photos and sketched. 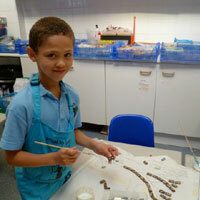 Throughout these 2 weeks children from Year 3 and upwards have visited the art room in groups and helped to do the mosaic. 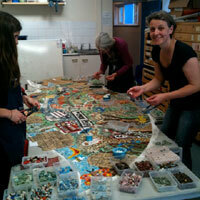 We have made the mosaic using tiles made from glass, ceramic and handmade tiles made from clay. 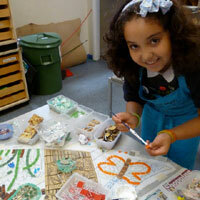 Children made the buildings out of tiles made from wet, soft clay. After, the artists used a special oven called a kiln to cook the clay up to 1280 degrees centigrade to make it hard and strong so it can survive British Winters. 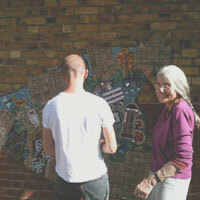 Everyone is excited about the brilliant mosaic going up in the playground." 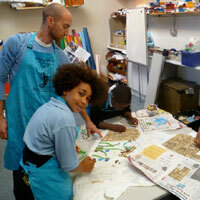 "We are putting the mural up in September in Martin Primary School. Artyface have been doing this with other schools. 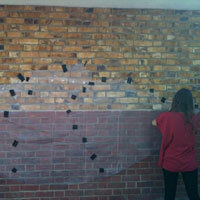 You use quite a lot of old materials to make a mural. 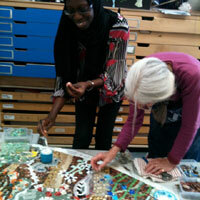 They would use glass, mosaic and much more materials. 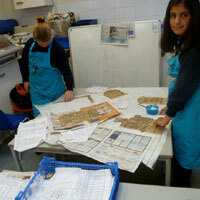 The ceramic tiles we made might last 5000 years which might be found by archaeologists. 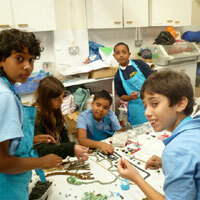 The Archaeologists might put them in famous museums to represent our fantastic school." 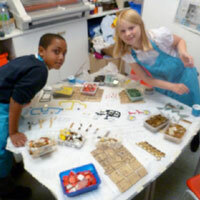 "Artyface have helped children in other schools make their murals and I think they look really cool. 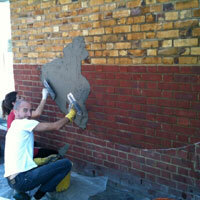 The mural will have lots of different parts of East Finchley and our school. We are doing this to represent our school and here we live." 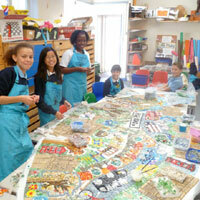 "We were really pleased with the whole process of the mural designing, making and the finished piece! 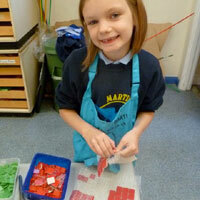 The children loved being involved in such a wonderful project. 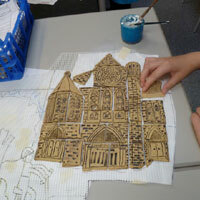 They have taken a real pride in their artwork and are endlessly spotting their own mosaic work and sketching within the mural, which they've also been thrilled to show their parents. Artyface are a truly professional team and created a piece with our children that we can all be proud of for years to come." 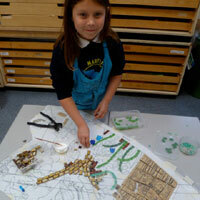 "We started this project in Art Week when we sketched buildings in our local area. The mural is of buildings in our local area. We have decided to include: the Phoenix Cinema, Methodist Church, our school, Holy Trinity Church, East Finchley Library, Strawberry Vale, The Grange, Cherry Tree Woods, The Green Man and East Finchley Underground Station. 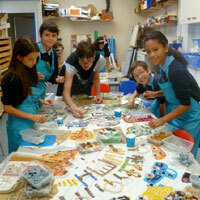 We used an array of tools to make the clay parts of the mural." Below: intended site for the completed mosaic.